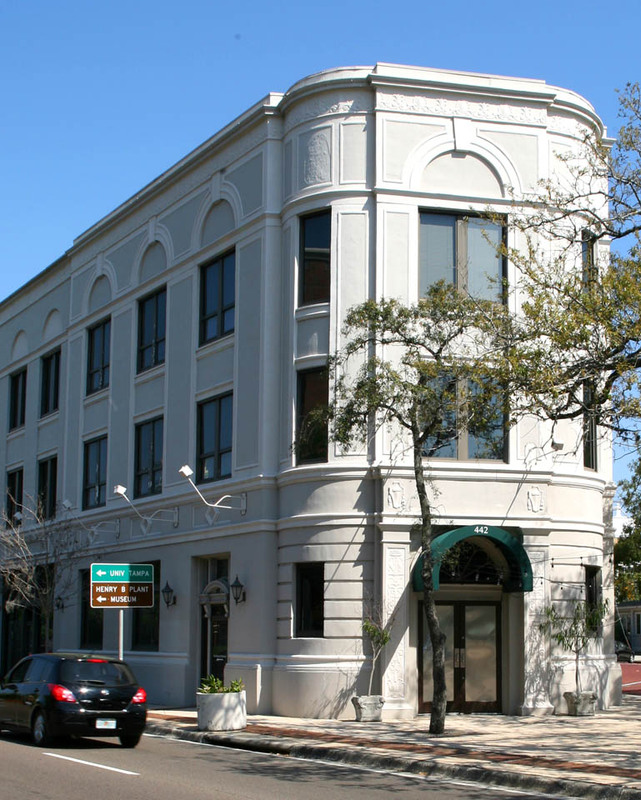 The Lafatette Arcade, on the corner of Kennedy and Grand Central, was designed by famed Tampa architect M. Leo Elliott. The sign above the front door says “Children’s Dentist”. 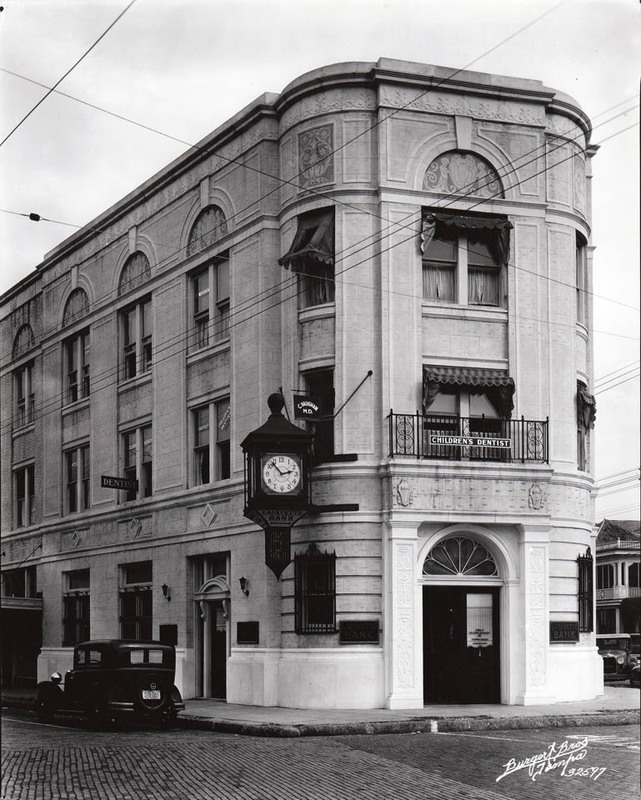 Notice the large clock on the side of the building as well as the decorative work in each of the second story arches in the historic photograph. In addition, Magnolia Ave, just outside of the front door, has since been converted into Snow Park.